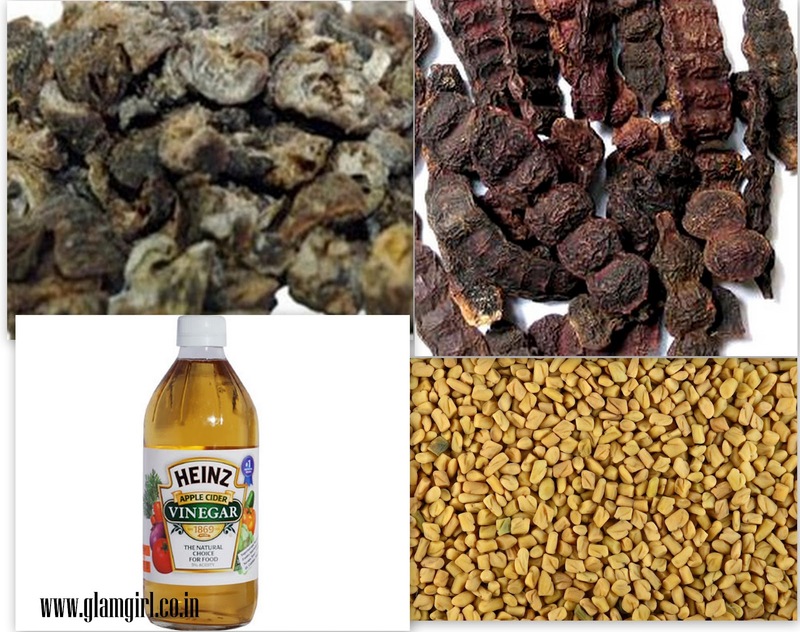 Make your own hair tonic and save your hair from dandruff, hair fall and get healthy S3 (soft, silky, shiny) hair. To learn keep reading…. Gooseberry is a wonder fruit for hair and skin full of benefits. It is rich in vitamin C, it keeps hair black and prevents grey hair. Acacia Concinna nourishes hair and increases hair growth. 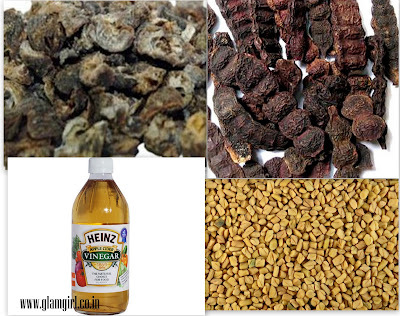 Fenugreek seeds adds shine to hair and prevents dandruff. Apple cider vinegar is also used as preservative and in this DIY, it is used as preservative and it also prevents from dandruff, makes hair silky and shiny. Step 1: Take 250 ml water, add 3 tsp Gooseberry powder, 3 tsp Acacia Concinna powder, 3 tsp Fenugreek seeds powder. Boil it for 20 mins. Step 2: Strain the water and mix 1 cup vinegar in it. Your hair tonic is ready. Let it cool down and store it in a bottle. You can store it for at least a month. Apply the hair tonic on your scalp and hair, leave it for 30 mins and then shampoo your hair from normal water. You can apply it after oiling hair or before oiling as you like. P.S: All the DIY that I post are first tried by me, Only effective and fruitful DIY are shared on my website. Just want to say your article is as astounding. The clarity in your post is just excellent and i can assume you are an expert on this subject. Fine with your permission allow me to grab your RSS feed to keep up to date with forthcoming post. Thanks a million and please continue the gratifying work.